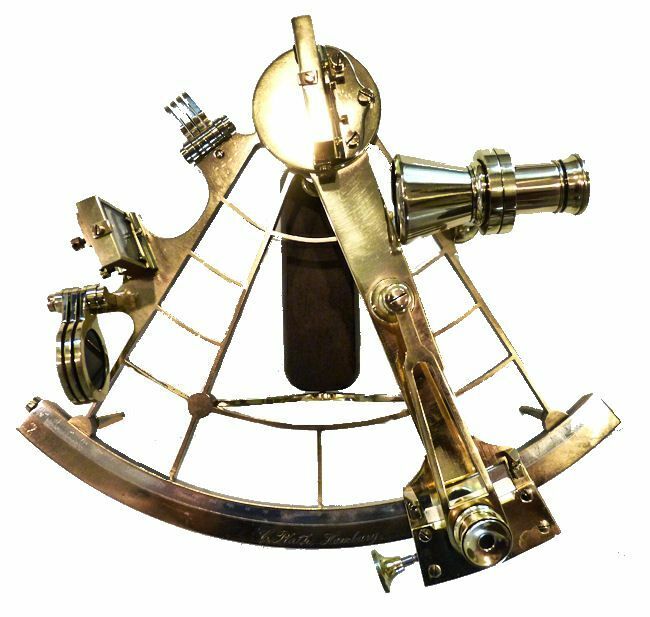 Discovered is the earliest C. Plath, bronze frame, quintant we have ever heard of with a Serial Number of 4370 that is stamped on both its arc and on the instrument's case. It is 1689 serial numbers earlier than the lowest number that we have in our proprietary register of C. Plath, Hamburg serial numbers that have been logged since we have been recording them. Consequently, we date it as late 19th Century. 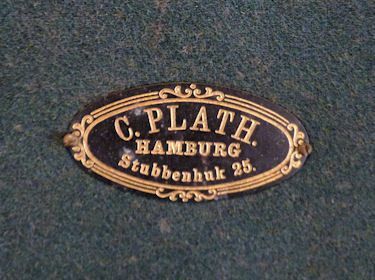 C. Plath Hamburg is engraved on its arc in script which was the style of the mid 19th Century. It has recently been polished and lacquered which makes it perfect for presentation or as a very special gift. It has an approximately 3 1/2 power telescope, and a sighting tube for shooting terrestrial objects. 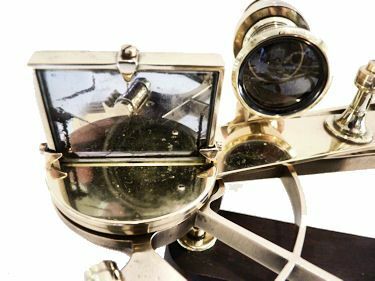 The adjustable rising piece allows moving the telescope towards or away from the frame making the horizon more distinct under varying light conditions. The bronze arc has a Sliver insert that is calibrated -5 to +155 degrees with a vernier that reads from the right, from 0 to 10 arc seconds. The Serial Number is engraved on the left lower of the arc and just above an old style “Sun Shooter“ logo as on earlier designs of this make. 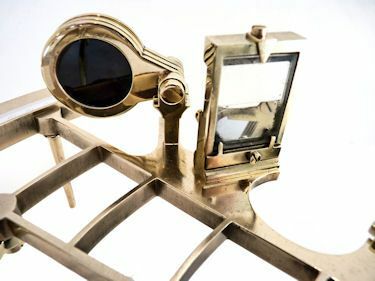 The sextant has four index shades and three horizon shades. 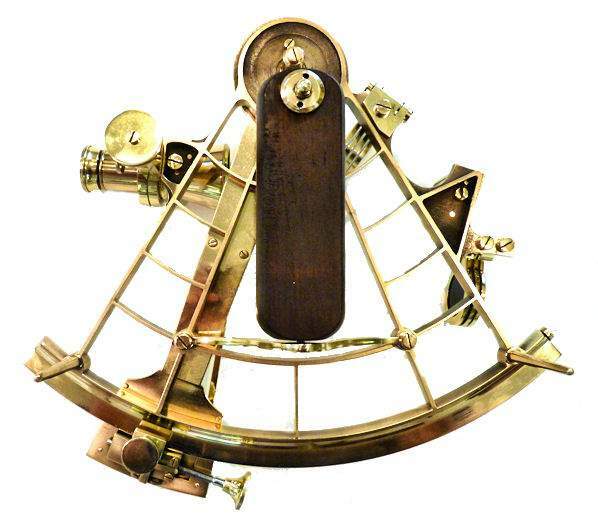 NOTE: A quintant has a range of arc of 144° compared to a sextant which reads to 90°. 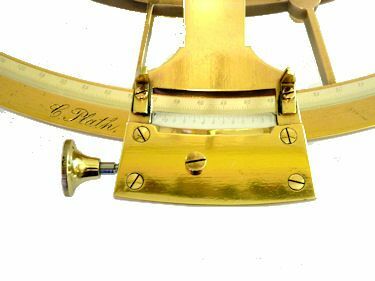 This was helpful in measuring Lunar Distances, which was a means of determining longitude without a chronometer. CONDITION: Irrespective of its age, this quintant is in exceptionally fine condition and shows very little use. The index mirror has some of the reflective surface missing at the top left and bottom left which is out of the field of view and a few hairline cracks of no consequence, but the viewing surface is clear and sharp. The horizon mirror is in mostly good condition with a slight loss where it joins the clear portion of th glass. Both sets of shades (filters) are perfect. 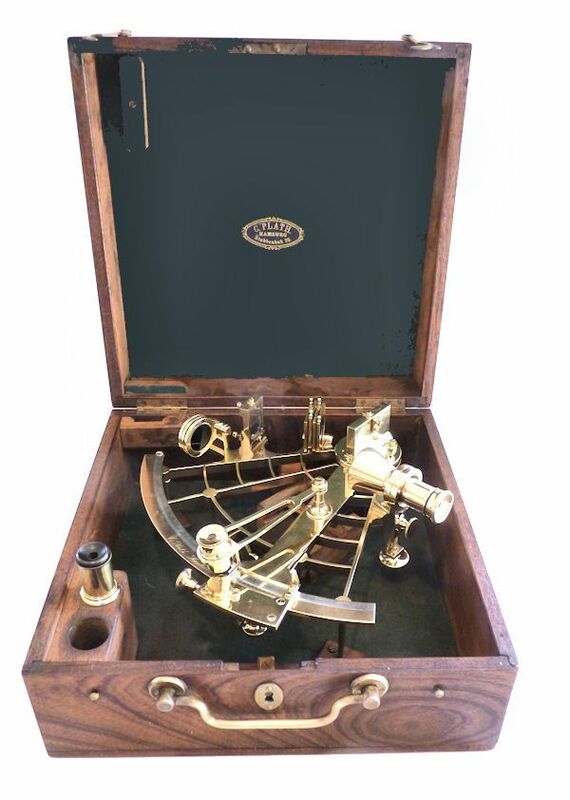 There is no mirror adjustment tool or screw driver and the collimation scope is missing as well. THE CASE: The instrument is housed in a tongue and groove, flaming wood case with spectacular grain that is absolutely beautiful. On the back inside top cover is an oval plate with the address Hamburg, over 25 Stubbenhuk 25 surrounded by a fancy border. 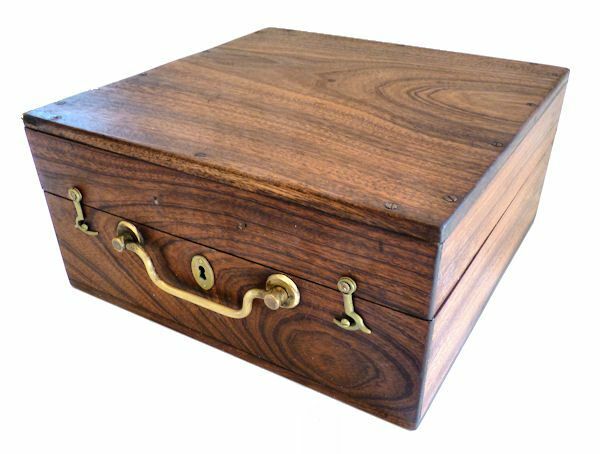 No evidence exists that an instrument certificate was ever fitted to this case. Except for some scratches on its top and bottom, is in excellent condition after being refinished to rid it of the years of accumulated varnish. The telescope filter not seen in the case are mounted on the scope. This is the only example of this early model brass frame Plath quintant we have seen. 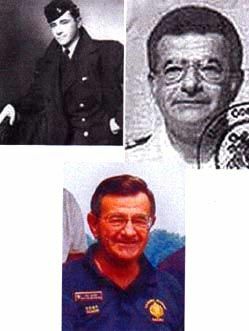 They are not even pictured in museum collections such as those at Greenwich, England. It will make a rare addition to an important collection or as a gift of importance.